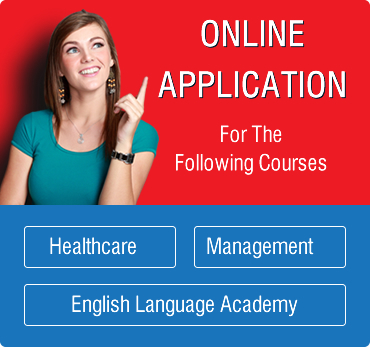 We have Intensive General English Courses to suit everyone with courses starting six times a year. You can study any length of time from 1 to 48 weeks and choose the best timetable for you. You can study from 09.30 to 12.45 or 13.30 to 16.45 or even 9.30 to 16.45. Our Intensive English course is for students who need to improve their English in a very short time, for work, interview or study purposes. Lessons start at 9.30 and end at 16.45 (full day). Students’ progress from English Beginner (CEFR A1) to Advanced (CEFR C2) in 18 weeks (studying for 6 hours a day). We also offer English Proficiency (CEFR C2, mastery of English). You will improve your English skills across the four main skills ranges: Listening, Speaking, Reading and Writing. Students are expected to progress to the next level after 2 weeks (60 hours – 2 weeks a level). We support students from CEFR A1 to CEFR C2 and beyond (to proficiency) *. We support students with CEFR C2 and offer lots of challenging support and work to enable students to reach proficiency. *Please note that we follow the Common European Framework of Reference for Languages (CEFR, 2001). For further information, please Click. You will be tested once every week on the course material you have been taught. There will be an end of level assessment every three weeks. Your teacher will guide you through any difficulties and direct your learning. If you have a very short amount of time and wish to improve your English quickly, this is the course for you. Our minimum requirement is English Beginner – CEFR A1. The maximum class size is 15 students. Teachers ensure a lot of individual attention. You will have a lot of opportunities to practice your new language with your classmates. Students are expected to study for a minimum of 2 hours outside the course, every day, to make sufficient progression. During this time, you will review course notes and teaching materials as well as complete the intensive English packs provided by your teacher. Students who study for less time may hold themselves back in their English progress. You will receive a certificate after 60 hours (4weeks’ intensive study) on your course, upon successful completion of course and given 80% course attendance. If you do not attend 80% of your lessons, you hold yourself back on your studies and progression and may not be entitled to enroll to the next level. Access to our language library of materials (readers, magazines, books among other resources). Access to our virtual learning platform. Weekly Film Club and class excursions. CEFR: A1 to C2. Our teachers will support you through the CEFR 6 main tiers*. *Recognized by the Council of Europe and across Europe. Send copy of your passport (and ID card if EU) and other relevant documents to info@scbs.org.uk.